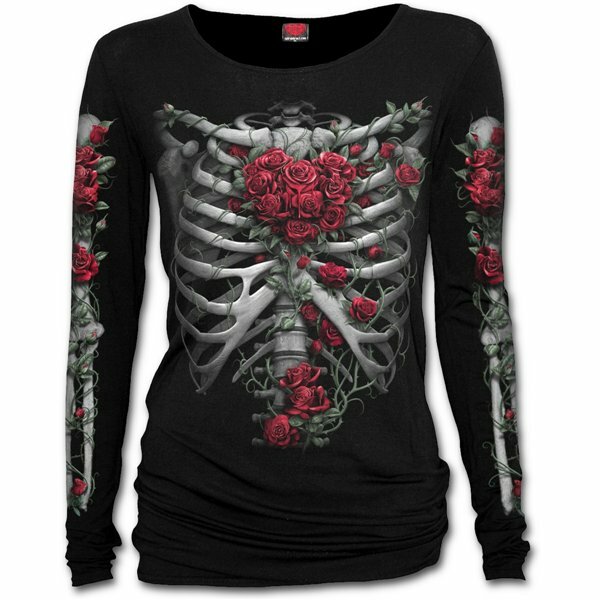 A popular Halloween themed garment, but with a beautiful floral twist. This skeleton is adorned with roses ? the thorns twisting around her bones and petals infused with the sweetest scent of death.